Gorgeous, accurate designer colors that I personally hand-picked makes it impossible for you to pick the wrong color. 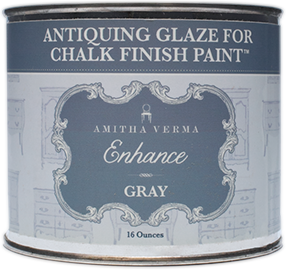 With Amitha Verma Furniture Paint, you can reinvent your home in under two hours and finally have a home you love! 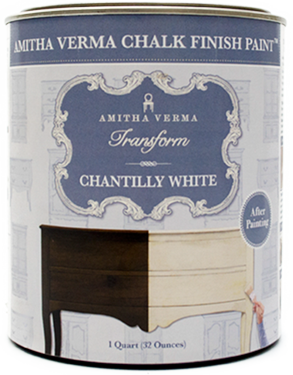 Amitha Verma Paint Brushes are the perfect match with your Amitha Verma Furniture Paint products. Use for projects of any size to ensure a flawless finish every time. Optimal density of beautiful boar hair bristles delivers just enough paint – never too much or too little. A wide variety of brush sizes and beautiful wax brushes to choose from makes your design options limitless.